Imagine standing in front of a mirror and looking deep into your own eyes and proclaiming ‘I love you’. Are you feeling uncomfortable yet? Perhaps you’re squirming in your chair and feeling like that would be an impossible task? If this is you then welcome to the world of negative self-beliefs. Negative beliefs permeate the minds of countless individuals, you are definitely not alone. Unfortunately these negative beliefs play a much larger role in your life than you may be aware of. They unequivocally influence so many aspects of your life because what you believe about yourself deep inside is what typically comes to pass in your lived experience. So the sooner you get acquainted with your negative self-beliefs, the sooner you can change them. Negative self-beliefs, also referred to as ‘unconscious core beliefs’, ‘core beliefs’, ‘negative core beliefs’, ‘limiting beliefs’, ‘cognitive distortions’ and ‘negative thoughts’ just to name a few all refer to the same thing – that negative voice inside your head that runs the same script over and over that you just can’t get rid of it – these are your negative self-beliefs. They are almost always an ‘I’ statement and sound like; ‘I’m a trouble-maker’, ‘I’m not loveable’, ‘I can’t trust anyone’, ‘I’m to blame’, ‘I’ll never meet anyone’, ‘I’m too needy’ etc. which all point in the same direction of ‘I’m not good enough’ which is the underlying generalised core belief. What’s the unconscious got to do with it? Negative self-beliefs reside in the unconscious, and result from the fear of the emotional pain we experience when we believe something negative about our self. Outside events, such as what others think about us trigger the internal negative self-belief. What others do or say are not the cause of the negative belief. It’s not others that cause you to feel a certain way, it’s the way you view yourself that is the culprit. Anxiety and Depression are part of this same equation. The unconscious is that part of us outside of our conscious awareness, and it’s very powerful. Behind the scenes the unconscious is doing a lot of work keeping you functioning, in good or not so good ways. When negative beliefs are activated painful feelings bubble up from our unconscious and create intense emotions and behaviours that we are often mystified about. Our response to these intense feelings is to try to avoid them at all costs which is where the role of defences come in. Defences work to protect us from our own self not others, but I’m probably dipping too much into psychological theory here so I’ll wind it back to negative self-beliefs. But I don’t have low self-esteem! Negative self-beliefs impact how you view yourself in relation to the world. It’s a simple equation; if you think disapprovingly about yourself on the inside then you are more likely to experience negative events in your everyday life. Your psychological environment is reflected back to you wherever you go. Not all the time of course, just when you are triggered. The more negative beliefs you hold, or the stronger they are the more disapproving experiences you will encounter. Understanding your triggers is a good first step to taking charge of your own negative beliefs. Negative self-beliefs will always keep you from you want because they are strong and dominant and can get in the way of everything. Negative self-beliefs are judgments you have made about yourself resulting from detrimental experiences during your younger, more formative years. These beliefs are exceedingly biased, and the fact they are hard wired into your belief system means you automatically think they are true – which they are not. They come about from events you were exposed to in your external environment that you most likely had no control over. When an environment is less than ideal or emotionally healthy enough, limiting beliefs are the result. 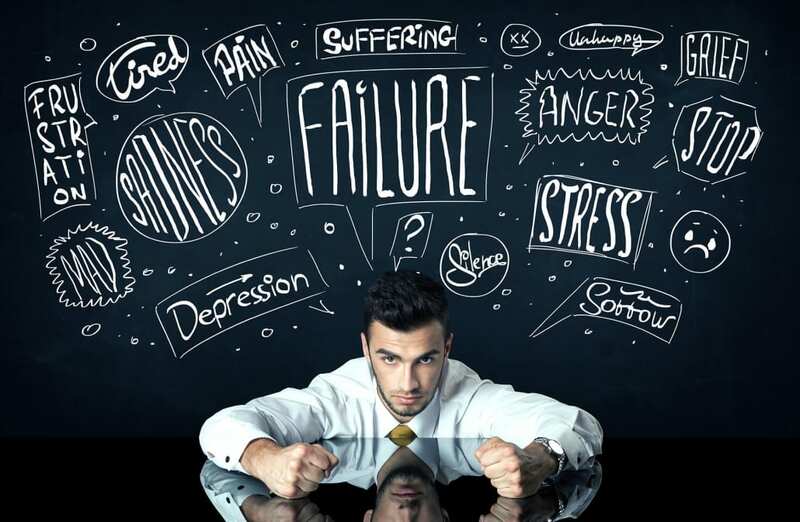 All negative beliefs are in essence connected to a loss of self, or low self-esteem. Think of a newborn baby who is born into this world just perfect… why don’t they stay this way throughout life? They are not born with an inventory of negative beliefs are they? Babies, infants, young children, young adolescents all must surrender to their external environments and because of this they are highly impressionable. They have to be, this is how they learn to grow and thrive. The external environment overlays itself into the highly suggestible mind or unconscious of the child and that’s called our ‘identity’. So now you can see how negative beliefs start to form. If you are really adamant about resolving major issues in your life then identifying and becoming conscious of your negative self-beliefs is the first step and learning to accept they are only thoughts and do not inform who you are as a person. It’s your own mistaken perception that has to change. So when you move from ‘everyone else has to blame to ‘I have to change’ you are on the road to a healthier you. Once you can hear your negative self-beliefs the next step is to move beyond them. You do this by not attaching anything to them – I mean nothing, not a single emotion, thought, idea, experience, person, attitude, belief – give it nothing. Just let them come in and then let them go because these negative thoughts are just mental noise. And, thoughts are just thoughts; they are not truths they are thoughts. Your thoughts do not equal evidence that something is true. So how can you let go of thoughts? Well you do it all the time. Do you pay attention to every, single one of your thoughts? Of course you don’t because it’s impossible too. Why? Because we have anywhere from 20,000 to 70,000 thoughts a day! Yes, that many and most of them just come and go without any awareness at all. So why hang onto the few thoughts that hurt you the most? Lets explore this idea a little further. Your thoughts are really nonentities. They have no substance, they are not tangible and they don’t yield any control over any future events. They just are. You bring them to life with the attention you give them. The more attention you assign them the louder they get, and the more stuck in your psyche they become. Pushing away or drawing in these negative thoughts only feeds them, and of course multiplies them. Let go of any control or attachment to these thoughts and they will pass. You can do this by becoming the neutral observer. They lose their power when you don’t assign any meaning to them and they just dissipate. Try not to label them, or create a fancy narrative around them, don’t resist them, don’t touch them, just be the neutral observer. And sooner than you think these thoughts will pass. But I’m emotionally healthy, aren’t I? Secure people with healthy self-esteem do not suffer from persistent negative thoughts about themselves. As a result they are generally not too bothered by what others think or say about them. They view the world through a more optimistic, positive lens and have thoughts that support them in their goals, dreams and ambitions. Having a strong sense of meaning and purpose is a good indicator of being on track in life. The future is hard to see if you’re too bound up in negativity. External opinions and views will only bother (trigger) you if you believe the negativity to be true. If you don’t then the moment passes with little anxiety. Having a healthy self-esteem is not defensive it’s accepting and understanding. A solid sense of self equates to a healthy ego, not a huge ego. Think Barak Obama compared to Donald Trump. Who suffers low self-esteem in this pairing? Encompassing healthy esteem is being able to accept the opinions of others – good or bad – without them unduly affecting your own sense of self. You remain steadfast, solid and grounded even when faced with disapproval, criticism or judgement and use these experiences to reflect on your own behaviours, thus continually learning and growing personally. It’s hard to do this when you have a whole cacophony of noisy, unhelpful negative beliefs yelling at you from the inside. So next time you find yourself paying any attention to those pesky, destructive negative thoughts just stop it. Become the quiet, still observer until they gently pass. If you are struggling with negative beliefs then talking to a counsellor at The Melbourne Counselling Centre can be a first step towards a healthier you.